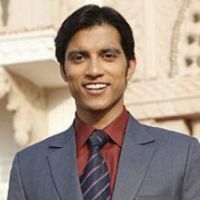 Check out the most updated and latest information about Abhinav Sharma's on the Internet.Abhinav Sharma has over 7 Fans registered on India-Forums.com.Do share your criticism, comments and feedback for the Actor on Abhinav Sharma's comments page. congradulations and All the best for your and Ratan's fulture life. congo on having a fan page in IF ,and for being treated like a celebrity now after being choosen as groom by ratan..